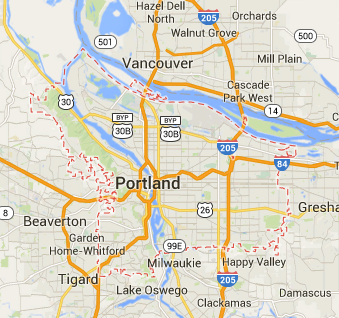 Portland covers more than 133 miles, with over 600,00 people residing in the beautiful city. There are a wide range of industries in the city that cater to the public’s needs. Of these industries, forklift drivers are a necessary factor to how well companies are able to meet the communities’ needs. With forklift training Portland, you’ll be able to benefit from a stable career that’s known to open the door to career advancements in warehouses, manufacturing plants, construction, and logistic companies. As a result, financial stability will become a reality as you’ll secure a long-term career operating a forklift. Speaking of financial stability – let’s talk about Portland employers. If your company employs forklift drivers and there is an accident, OSHA will likely investigate. And if you don’t have your employee training records up to date with forklift certification in Portland, you’re subject to crippling fines and penalties. The solution? CertifyMe.net. Our OSHA compliant courses are used by companies all over Oregon and the United States in general. With affordable prices, lifetime support, in-house OSHA expertise and other benefits, it’s no wonder we’re the preferred forklift training partner for Portland-area employers. If your company has training gaps and requires upgraded safety for forklift drivers, select from our Portland forklift certification courses today! Why Get Forklift Training Portland? By completing forklift training in Portland, Oregon, the door to many employment opportunities will open, since Oregon is a growing sector for warehouses, construction, transportation, and more. Each of these diverse industries rely on experienced and professional forklift operators to aid with the day-to-day tasks of maintaining the workflow of the companies. In addition, employers seek those with the necessary skills and certifications to reduce workplace injuries. 70 to 90 perfect of forklift injuries occur due to the lack of proper training and negligence. Employers need forklift operators who are able to reduce the risk for an injury. With the completion of your forklift training Portland, you are able to compete in this high demand occupation, and be almost guaranteed to find a great job. Oregon is among one of the top states seeking professionally trained forklift operators. By receiving your forklift training Portland, you’ll qualify for many types of forklift jobs in Portland, and you’ll earn a decent income as well. Your responsibilities may include retrieving and stacking supplies and materials and ensuring production and organization. Although these tasks are fairly simple, injuries can occur as a forklift can lift an average of 7,000 pounds. Employers are responsible for their employees’ training. With CertifyMe.net, forklift certification in Portland is fast, affordable, and easy. Before you look for just any type of forklift training Portland course, you need one that will properly qualify you for all of the exciting forklift jobs Portland mentioned above. This type of training is a program that meets all of OSHA’s requirements for forklift certification. OSHA also requires that all operators renew their training with a refresher training course at least every three years, or as soon as an accident occurs involving a forklift, the operator is caught performing unsafe practices, a new type of forklift will be used, or the work environment changes. The forklift training Portland course from CertifyMe.net covers all of the OSHA requires listed above, including the components of the training itself, all necessary tests and quizzes, and all important topics. Students will not only be completely prepared to operate forklifts safely and prevent accidents, but they will be 100% OSHA-compliant. But the best part is, all of this information doesn’t come at the cost of inconvenience or hassle. The online training program from CertifyMe allows you to cater your training around your schedule, achieving your certification in your own time and at your own pace. It can be accessed from any device with an internet connection and in only about one hour, on average. When you purchase forklift training Portland with CertifyMe.net, you’ll get both English and Spanish options, all necessary handouts and checklists, and free three-year refresher training for life! Get started with your forklift certification in Portland today! Your company’s safety is paramount, and OSHA audits and investigations represent one of the costliest expenses you’ll ever face. Don’t take chances with your safety – sign up for Portland forklift certification with CertifyMe.net today! Upon completing your forklift training in Portland, employees can print out their credentials for human resource files. For any questions about our Portland forklift certification, give CertifyMe.net a call today at 1-888-699-4800. Thanks for visiting CertifyMe.net, the #1 provider of forklift certification in Portland. We look forward to handling your forklift training needs.